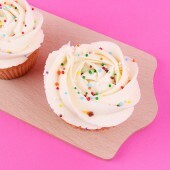 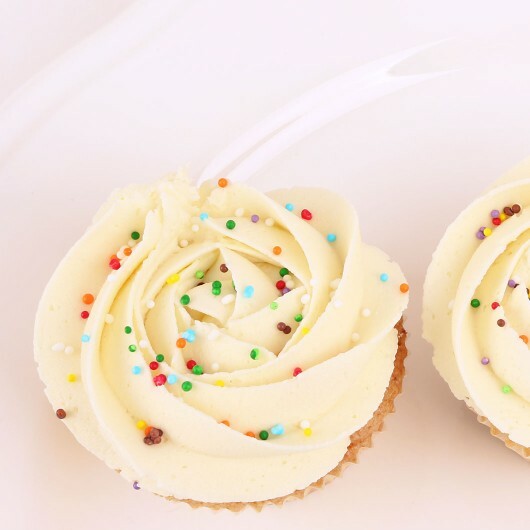 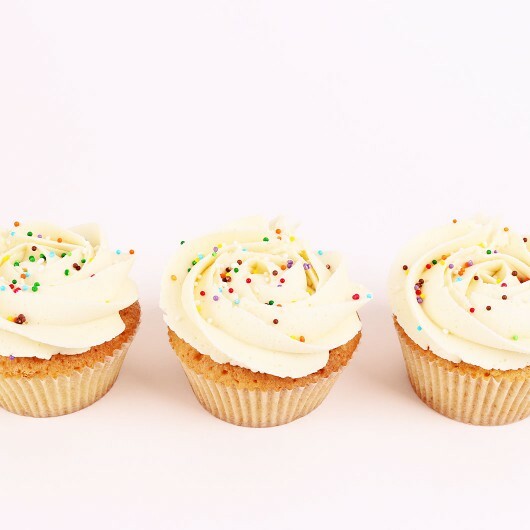 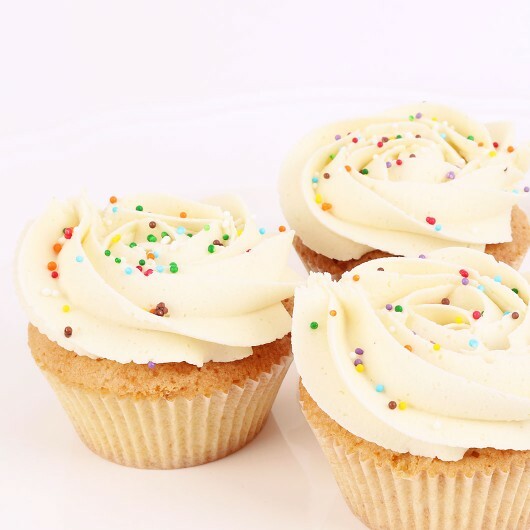 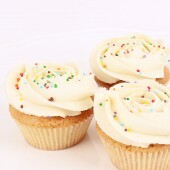 This classic vanilla flavoured cupcake is baked by our home-made recipe. 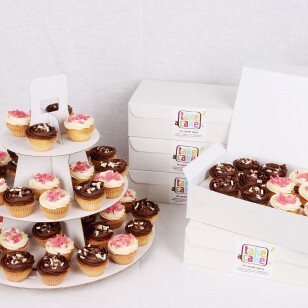 With its delicate structura and no added jam, nuts or chocolate it's approprate for any childrens' party as well as corporate parties. 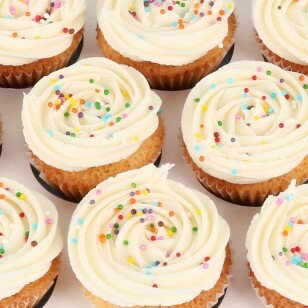 With butter vanilla frosting. 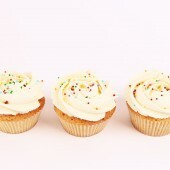 You can also oder it in our party size.